Poll Result: 15,900 votes Cast; Unity Named Most Popular Desktop - OMG! Ubuntu! Unity is the most used Desktop�Environment�amongst Ubuntu 11.10 users according to our most recent poll. Ubuntu 11.10’s default Unity interface grabbed the largest share of votes – a whopping 46.78%� (7,476 votes). This isn’t so surprising given that a) the vote was held on an Ubuntu-orientated�website, and b) Unity is the default interface of Ubuntu 11.10. But such a strong result does show that Unity is not as ‘unpopular’ as many disgruntled voices in the community proclaim it to be. Second place went to GNOME’s GNOME Shell desktop. Its�strong showing is particularly significant given how far ahead of the competition it was – some�28.42%� (4,541 votes) voted for it. 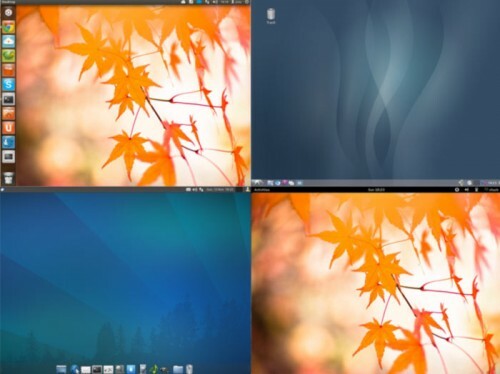 In third place was XFCE, the default desktop of Xubuntu 11.10, with�XFCE��7.58%� (1,211 votes). LXDE, the default desktop of Lubuntu 11.10, polled sixth with�LXDE��2.7%� (431 votes). Last, but by no means least, was the elementary projects ‘Pantheon’ desktop shell. Despite this being highly-unstable and very much in active development some 264 (1.65%) readers marked this as their default desktop.